All of the videos are finally complete. The First video is a music video "Money" by Pink Floyd. It will be featured on the tape marked Manuters 6hr tape along with the other two. The 2nd is an interviewing one called Interviews of the Dorky proportion on the subject of the local Police. The 3rd is a documentary on Ghosts, called Ghosts that read in the Library here (Sweetwater County Library). 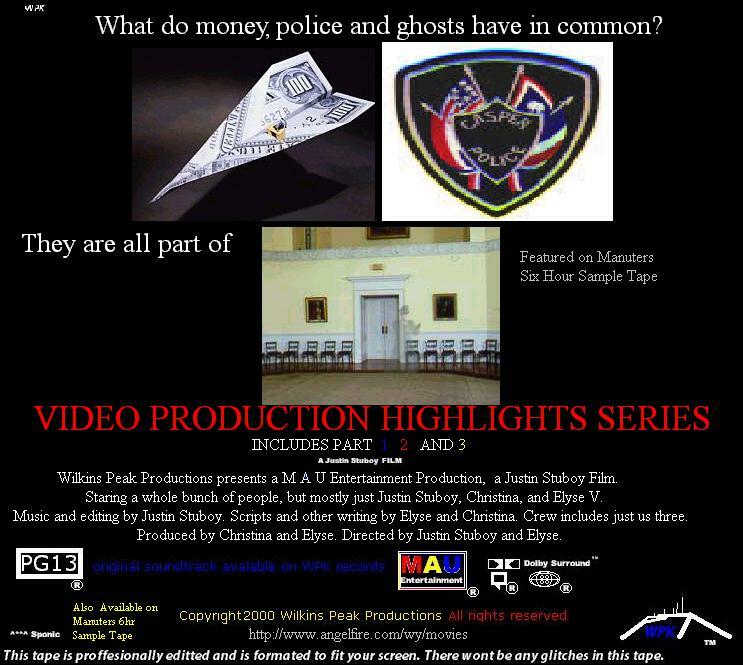 All projects are currently avalable on the Manuters series tapes.